This is an update to my notes from last July (found here). Update since: By the time the summer ended the city had cleaned up the graffiti and fixed several of the sidewalks—great job! However, there are still issues to discuss such as the retail vacancies. I attended the “The Future of Georgetown” meeting on 1/15/19 hosted by the amazing Citizens of Georgetown (CAG) group and spectacular Advisory Neighborhood Commission (ANC 2E) but came away a bit disappointed with what the Georgetown Business Improvement District (BID) presented as the areas future of retail. The BID spent 30 minutes of the presentation on why it’s so hard to have a good retail ecosystem in Georgetown (i.e. Amazon, unrealistic landlords/rents, awkward spaces in old buildings) and how many retailers are going out of business. They also painted a picture on why it’s not as bad as it looks –even though I counted 19 vacancies when I walked down Wisconsin Ave to get to the meeting. …but what really got to me was at the end of their presentation they said that this is all part of a cycle and Georgetown’s business district will still be here when other locations fail—and that’s just not a good way to manage the area’s future (i.e. telling people to wait and have hope). I personally don’t think this is a cycle—retail as we have known it is dying and if we don’t have a well thought out strategy for how to grow with these changes then the business district will die a slow death and Georgetown will no longer be the tourist destination or the exciting place to live that it is currently. Don’t get me wrong, this is a wonderful community (in a remarkable city) with a beautiful waterfront and a great plan for the canal (being done by the same team that did NYC High Line)—but we need a better plan for our diminishing retail market than wait for the cycle to rebound. This 2028 strategic plan is good and the update speaks volumes but we need to have a more thoughtful discussion about the Georgetown retail problem (everything needs to be on the table—policy, zoning, investment etc.). I don’t disagree with anything the BID laid out in regards to our challenges (most big city retail communities are facing the same issues) but what the presentation made me think is that the ‘Free Market’ is not working for Georgetown’s retail district if online commerce is hurting it, absent/uncaring landlords are leaving spaces vacant for years and the city infrastructure is not desirable because it’s old/lacks parking & a metro—and when the free market doesn’t work policymakers need to get involved. I didn’t see any policy ‘makers’ (Jack-Ward 2, Kenyan-Chair Committee on Bus & Economic Dev) at the meeting but I may have missed them—however I would not have expected them at the meeting as the ANC had it covered very well and that is our voice to the policy makers–and they did ask for our feedback (hence this update)! Make it harder for landlords to leave storefronts vacant via new legislative policies (examples & risks). Create income tax abatements for commercial building rehab or new development (example from Falls Church VA). Ring-fence grant funding for the types of businesses we want to attract (maybe extend this program to include M Street and understand if it worked for Wisconsin and push to increase funding). 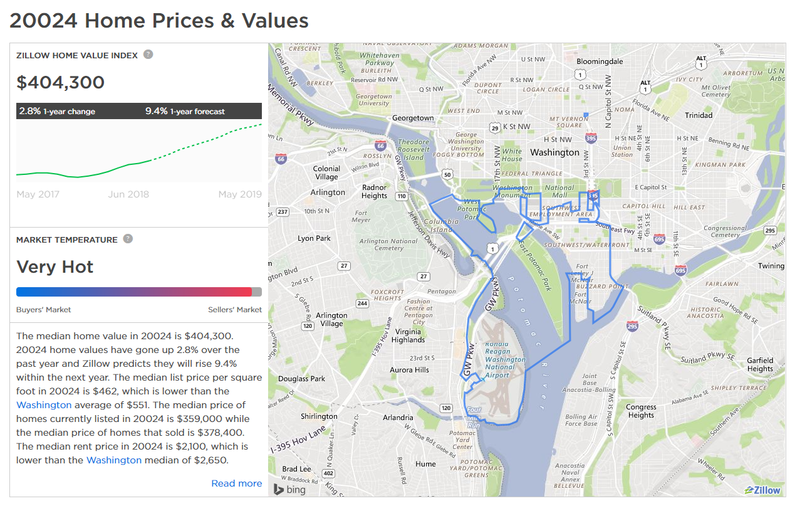 Something is going on in Georgetown that doesn’t make any sense to the residents–Even with the strong demographic data and the strength of the “Georgetown” worldwide brand–retail businesses are pulling out and real estate prices appear to be stagnating… Why? Poor city leadership? Other areas (The Wharf, Capitol Hill, 14th Street, Navy Yard etc.) pulling all the investment away? Unreasonable landlords? Retail, in general, is hurting? The Business Improvement District (BID)? Other? If you travel outside of the United States everyone knows about “Georgetown”–Maybe it’s the movies… the university.. or just the legacy of the area. Georgetown’s brand is almost as strong as that of “Washington DC”–and more stable from the looks of Google Trends. If you review the stats Georgetown (20007) is one of the best demographics in the city. The area has a higher income than other more trendy zipcodes and pays more taxes per resident. more from BID on demographics of the area. So why is retail pulling out? If you read the Georgetown Business Improvement District’s (BID) market report and annual report things seem great but if you just walk up Wisconsin Ave you will see that it’s starting to look like a ghost town. Here are a few pictures from my jog one morning–you can see all the open properties here. 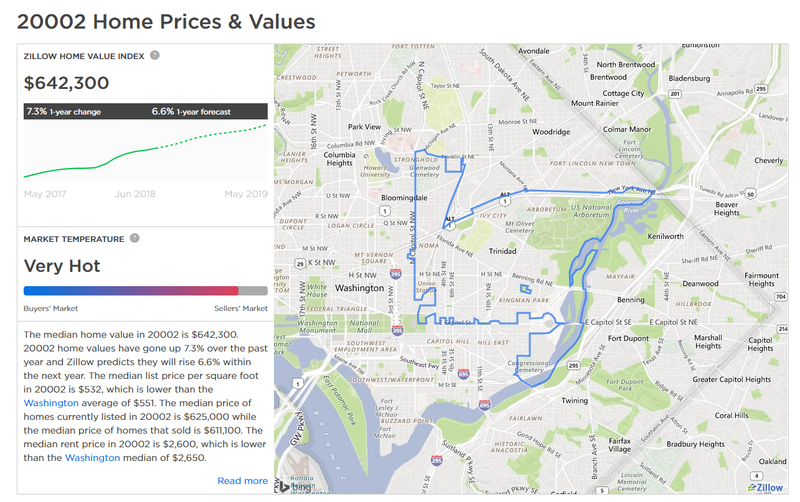 …it doesn’t look that bad overall but if you walk up Wisconsin Ave you will see that the numbers don’t make sense–something else is eroding this area. Is the same issue impacting residential real estate? If you read articles like this https://www.bisnow.com/washington-dc/news/neighborhood/georgetown-gaining-momentum-with-office-retail-activity-despite-new-waterfront-options-77816 in Bisnow you will think that things are going great but then again, just take a walk on Wisconsin Ave north of M Street and you will think you are in Detroit. Is the poor maintenance of the side streets a result of the same problem? or is it unrelated? I saw one of our older residents fall on the sidewalk the other day due to a loose brick–given Georgetown’s aging demographic this can’t be good. …Then there are the trees that no one seems to be trimming. Where is SMS Holding’s Block by Block –when is their contract up for renewal? What about the increase in the homeless population–is this related too? …this is sad and seems to be getting worse. The city numbers reflect it getting better but for any resident of Georgetown that is out on a Friday night, it sure seems like it’s getting worse. Plain and simple, there is not enough attention being focused on the details. At a macro-level there seems to be no issue but if you have lived here long enough you realize that something is wrong. The city needs to have a dialog, with action, about 1) the retail issues in Georgetown–specifically on Wisconsin Avenue 2) maintenance of side streets 3) the homeless. Washington DC, in general, is booming (it’s Number 8 in the Best Places to Live in the USA). Hot areas like The Wharf, Capitol Hill, 14th street, The Navy Yard are getting the city’s attention. It’s almost like city officials see Georgetown on autopilot–and why not… the Georgetown BIDs numbers look great —but the city needs to look deeper… it’s about the details. Separate out Wisconsin Ave and M Street in Georgetown from the broader area and focus attention on the retail issues–Spend time on some of the innovative concepts outlined in this paper ‘How to revitalize your city or town’ (here) specifically for these 2 streets. Another idea is to work with Georgetown University’s MBA program. “Details Matter” <<this is why BID needs to be addressed.